Assos' rS.sturmPrinz EVO windproof jacket is the ultimate, racing-cut rain and wind protection jacket. If you ride a lot, all year round, and aren't concerned if it rains, then the sturmPrinz is for you. The ultimate foul weather protection. Elastic shoulder inserts for increased freedom of movement. Taped seams on front, shoulder and rear panels. With the rs.sturmPrinz EVO Windproof jacket the objective was to create the ideal rain and wind protective jacket for high performance cycling, no holds barred and no corners cut by the accountants! However, Assos' aim was not to make a 100% waterproof jacket. Why not? Because 100% waterproof also means 100% impermeable - sweat builds up and can't escape. Not what you want. The evaporation process must be proactive, it mustn't be slowed excessively by your protective shell - which ultimately leads to cold and chills. To this end the rs.sturmPrinz EVO protects but also breathes incredibly well maintaining body temperature and comfort. Assos have calibrated and optimised the balance between insulation and protection, without jeopardising your performance, giving you a functional, intelligently engineered, cycling-specific anti- rain device that works! This has been acheived through the use of exclusive TRITON fabric, specifically engineered by Assos for the rs.sturmPrinz jacket. The sturmPrinz use two versions of TRITON. The front panel features TRITON V1, a robust fabric engineered to be more resistant, and the back panel uses the lighter, more breathable TRITON V2. Ergonomically shaped to fit your body in the cycling position the jacket sits close and then follows your movements. Thanks to the high performance TRITON fabric, ASSOS have been able to tailor the jacket closer to the body, resulting in less volume and no “balloon effect,” providing total freedom of movement. This is a jacket ideally suited for hard riding and racing on-the-rivet when the rain is incessant. Assos rs.sturmPrinz EVO Windproof Jacket is rated 4.7 out of 5 by 3. Rated 5 out of 5 by leBullet from Yes, it's expensive, but ooozes quality! So, you'd expect at £300 jacket to perform admirably and you'd be absolutely right, it does. The fit is amazing, snug, but not restrictive like a lot of shells, but the quality of materials makes it a joy to wear. it's great for keeping the wind off, on cool days, but it's when the weather turns miserable that it really comes to shine. I expect it'll be an amazing compliment for many years, so probably, a great investment. Rated 4 out of 5 by JABBA68 from Good but not perfect Great jacket but the rear is vented - fine whilst moving at speed only! I have used this extensively through the winter and a great piece of kit that (almost) makes me look like a proper sportsman! Rated 5 out of 5 by sideburndavid from Superb Protection, Great features Expensive, but I love it. The Jacket is lightweight yet very protective, performing well in cold conditions (~0 degrees C) and wet conditions also. The zip feels like it will last a long time and the whole jacket has a robust feel. I've used it for about a month and its lost none of its original feel, despite being used every other day and washed. I went for red, which is bright and bold so drivers can see you in the early morning. I love the little openings just by your jersey pockets, these allow you to get items from your pockets without opening the jacket or pulling it over your jersey pockets. this is great for maintaining your warmth on cold mornings and getting provisions. I would say the fit is a little tight, so if you are used to Assos go one size larger that you would buy a jacket, or jersey. 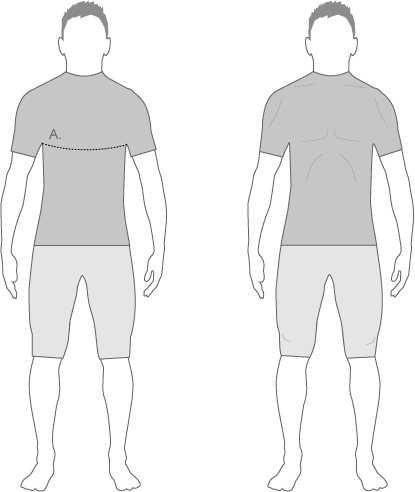 Just wondering how accurate this size guide is as Assos like so many have a reputation for being very small! I'm xxl in Rapha and Castelli.... 5ft 10, 43 inch chest, 34 inch waist and stocky build. The Assos sizing is small being Italian so we would recommend going up a size to make sure that you get the correct fit.